JLC LIVE is an industry event for residential construction professionals. 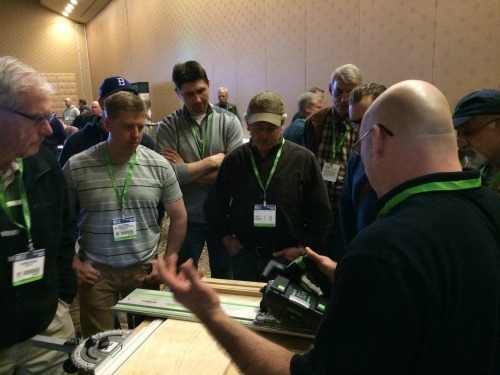 Conference sessions and hands-on training at live building clinics offer professionals a chance to expand upon their skills. The show also provides a platform for companies to build their businesses through networking opportunities with exhibitors and other attendees. 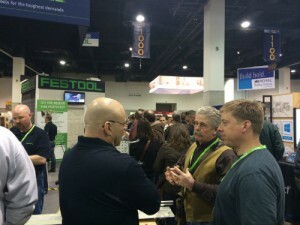 Of course, not to be missed are booths featuring tools of the trade and new building technologies coming to market. My team and I attended the show late March, just a few weeks ago. Since then, we’ve been talking about what we each took away from the show, and what we hope to implement as contractors in the Millbrook area. I thought I’d take some time to share what I thought were some of the show highlights. When it comes to roofing underlayment, it used to be the only choice was tar paper. Now there are many options on the market. This year InterWrap introduced two new roofing underlayments, Titanium PSU-30 and Titanium UDL-30. PSU-30 is a premium peel & stick application for advanced ice damming protection. UDL-30 is a synthetic product made with up to 20% reclaimed material, and is meant to replace felt. Both products can be used under a variety of roofing types, including metal, tile, shake, slate and composition shingles. I was impressed PSU-30 is granular surface free. This means it provides greater safety, is better suited for metal roofing application, and provides better protection against ice damming. Festool continues to impress. This year they showcased a cordless plunge-cut saw. Working without a cord in the way would be a great plus. The new saw also has a front splinter guard to prevent the top of the surface being cut from chipping. Hopefully this product will be available to contractors in the States soon.